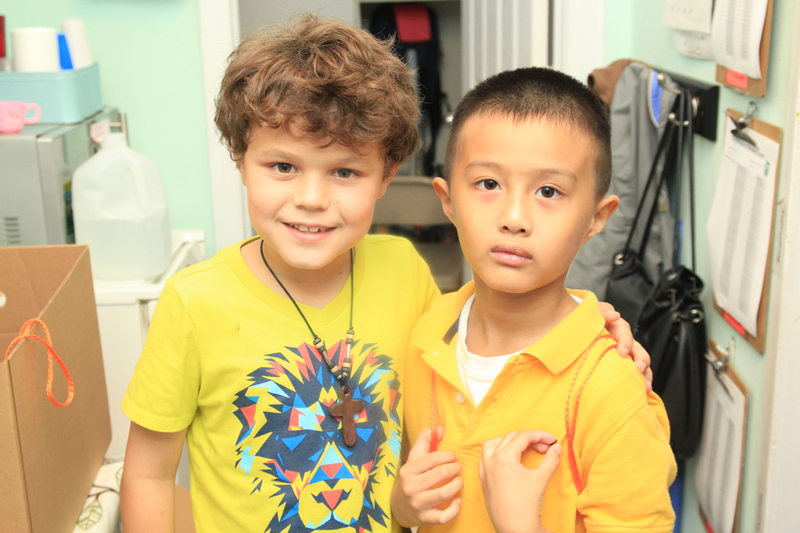 On September 10, we held a "Back to School Bash" for the children and families living in Jackson Heights. We had games, snacks, a Bible story, and of course, a school supply giveaway! A BIG shout out goes to the VBS kids of Heritage Baptist Church, Montgomery, Alabama who donated hundreds of pencils, crayons, markers, glue sticks, and many more supplies. We are hoping to go bigger next year and make this an annual event for the community. 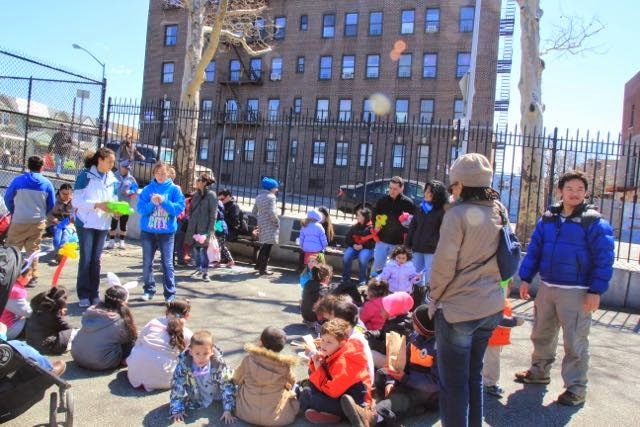 Our plan is to set-up the event in Diversity Plaza, the heart of Jackson Heights and invite many more families to join the fun. We would love to partner with churches so if your church is interested, shoot us an e-mail and we'll get you the information to start planning and recruiting now! Whew!!!! What a fun-filled and very busy trip we had back to the Promise Land! Our family was very excited to make our first trip back since the big move and I'm pretty sure many of "our peeps" were just as excited to have us for the first visit back! 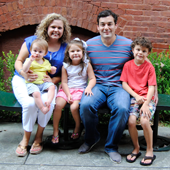 We were fortunate to be able to see lots of family, friends, and churches that spanned 3 different states. One of the highlights of our trip was getting to share with several of our supporting churches what God is already doing among South Asians in Jackson Heights. We want to say a big hearty "Thank You" to FBC Prattville, Heritage Baptist, FBC Blairsville, Central Baptist, and Trinity Anglican Mission for having us! Our love tank was overflowing by the time we had to say good-bye (which, for the record, was still no easier than it was the first time we said good-bye.) Sniff, Sniff!! If we didn't get to see you this trip, we hope to see you on our next one. 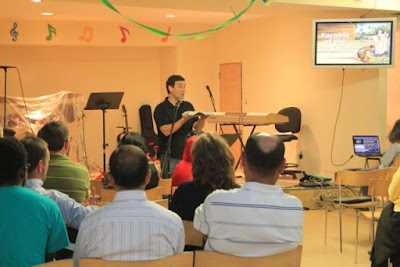 The Parable of the Lost Son was our Bible story and theme for our Church Plant Gathering on June 27. We expected a small crowd due to Ramadan, a month of fasting for Muslims to commemorate the first revelation of the Quran to Mohammad. We were blessed by having several Buddhist and Hindu background people along with several Muslims join us! Our Muslim friends could not break their fast until after our meeting but they stayed for the entire service. We had great discussions on how God is our Father who loves and forgives us. He never gives up and he is always there for us. We praise God for the great turn out and the opportunities we had to share the gospel with South Asians in Jackson Heights. 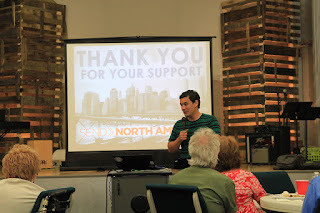 We had a wonderful time at our May Church Plant Gathering! We celebrated our students from the past semester by honoring them with a graduation ceremony. Our theme for the evening was wisdom and Proverbs 1:7. We were blessed to have people from Bangladesh, Pakistan, Columbia, China, Nepal, and Tibet join us for the evening. We had great table discussions on where one gets wisdom. We were able to share that we get wisdom from reading God's Word and through a relationship with Jesus. Please continue to pray for seeds of the gospel that were planted that night. The month of May flew right past us and we didn’t really even know it had come and gone! We had two awesome groups come and serve with us, one of them being a group of six young women on a National WMU mission trip. 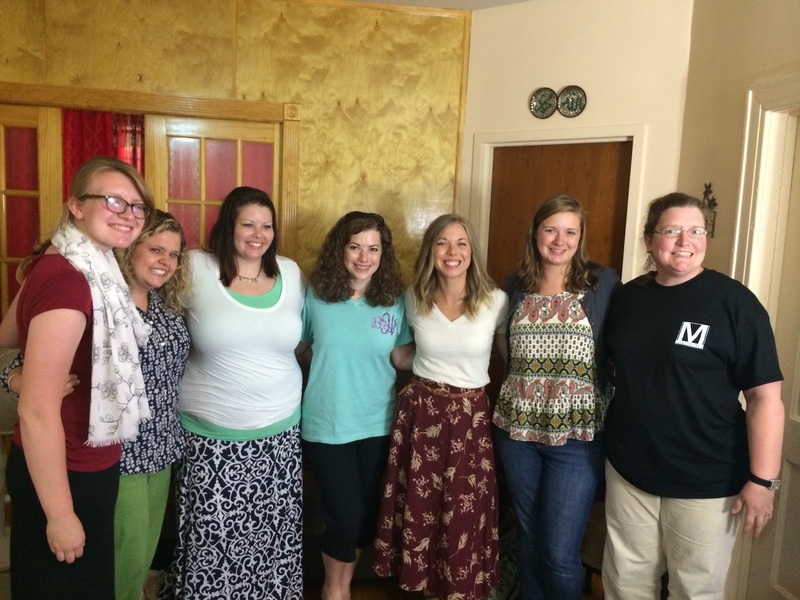 This group had a special place in Erin’s heart because of her history working for Alabama WMU. She had a wonderful time showing this young women around Jackson Heights, serving with them at the church plant gathering, and teaching class with them. Her favorite thing however, was a South Asian women’s event the WMU ladies sponsored along with our South Asian Center. Between our South Asian friends, their children, and our helpers, our very small South Asian Center had over 40 people stuffed in every nook and cranny of the rooms. The women had an absolute blast as we taught them about rest and relaxation and did so by making 2 fun crafts -- their own coasters they can use to relax with a cup of tea, and lavender scented bath salts! These precious women could not believe that the crafts were free for them to take home. Some of them even tried to give them back to us after they finished making them but we said, “no, these are for you just because we love you!” Thank you National WMU women for making these ladies feel loved and special!! 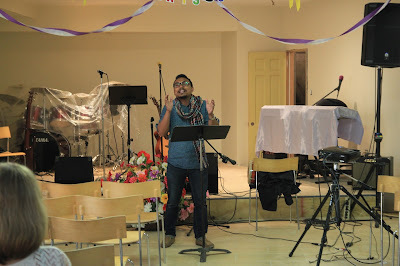 Last Saturday, we had our April Church Plant Gathering. We had a great turn out and enjoyed a great Indian meal, worship, and a time of sharing. Our theme of the evening was the Resurrection of Jesus. Romans 10:9-10 was the discussion verse. It says, "Say with your mouth, 'Jesus is Lord.' Believe in your heart that God raised him from the dead. Then you will be saved. With your heart you believe and are made right with God. With your mouth you say what you believe. And so you are saved." Talk about an amazing time of presenting the gospel! This verse brought about some very rich and meaningful conversations. Each table had several South Asian students and their families along with one or two of our church planting leaders. This "table talk" set-up gave believers the opportunity to share the gospel while also allowing our guests to ask questions and comment on the passage. Several of our South Asian friends are starting to show more interest in Jesus. One Muslim man said, "this Jesus is a good man and I want to know more about him." Please pray for us as we continue to reach out through English classes and relationships. Our first Easter in New York City was fantastic! Although we definitely missed our Heritage family in Montgomery, we were reminded many times throughout Holy Week that God has called us to serve Him in this amazing place and we are blown away by his goodness to us! We had our first mission team from sweet home Alabama come and serve the week leading up to Easter. 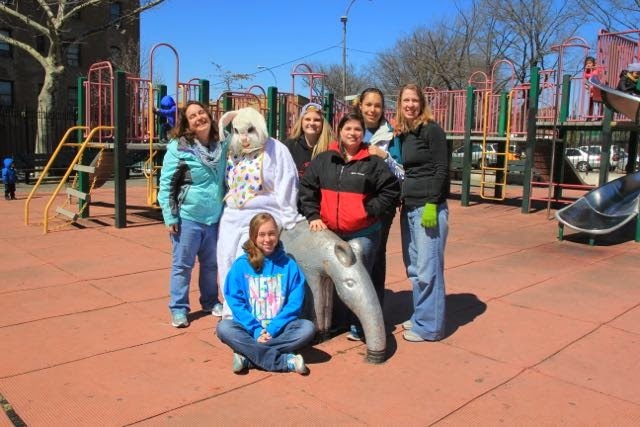 A group of college students from Judson College came and taught ESL, prayer walked Jackson Heights, and helped us pull off a great Easter Egg Hunt for one of the Jackson Heights neighborhoods! We even got our hands on an Easter Bunny costume which one of the students wore throughout the day. Let's just say she was a hit and definitely the most popular one in the park that afternoon! 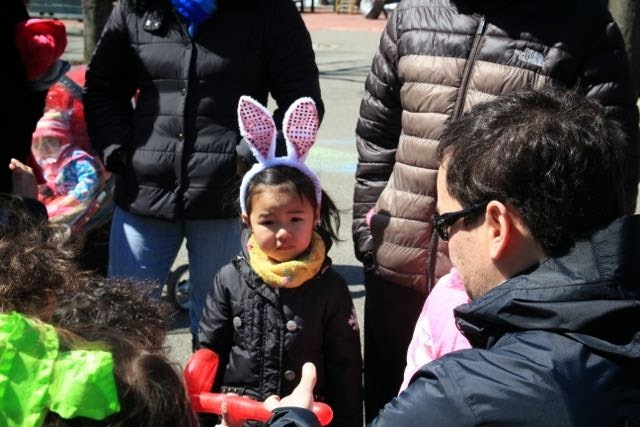 Our Egg Hunt festivities included face painting, balloon animals, the resurrection eggs story, and of course, an egg hunt. It was a very windy day and with no grass in the park, you can imagine what happened to all of the well hidden eggs. They were rolling all over the place and the kids were in chasing them trying to get to the candy before it blew away! The egg hunt itself seemed to only last about 5 minutes before they were all gathered and scoured for the lout. 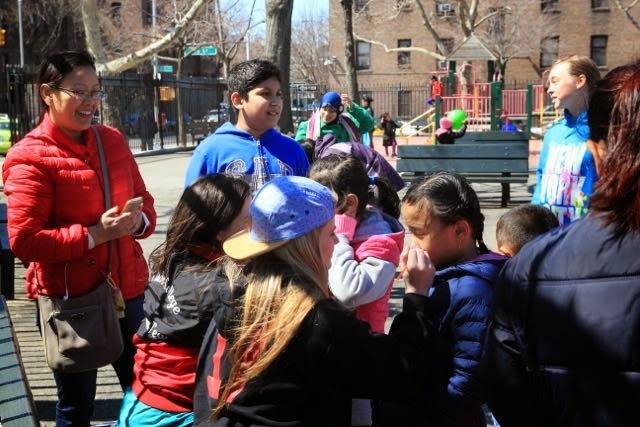 We made several contacts with the moms who were there, sharing with them about the South Asian Center's free ESL classes as well as kid's club throughout the year kid's camp in the parks during the summer months. Adam has started teaching 4 Thai Buddhists Monks ESL and he loves it!! These monks are part of a Buddhist Temple that we visit frequently. The abbot (temple leader) asked Adam if he would teach them weekly so they've been coming to the South Asian Center for 2 weeks. These guys are lots of fun and keep the class very entertained with their humor and excitement over learning more English. Sunday is Thai New Year and the monks invited us to come to their New Year Festival. The abbot is allowing us to hand out information about ESL classes and kids' club to the families who will be there. What great opportunities the Lord is literally dropping into our laps!! Erin is working with Urban Nation Outreach to interview and hire summer interns. She has been able to talk with several college students about coming and is excited to help them through the process of getting here in June and developing a discipleship program for them while they serve this summer. Our family time has been rich this week as the kids have been home for spring break. We took a quick trip to Baltimore to visit seminary friends (Lance and Debra Conklin) we hadn't seen in 10 years. 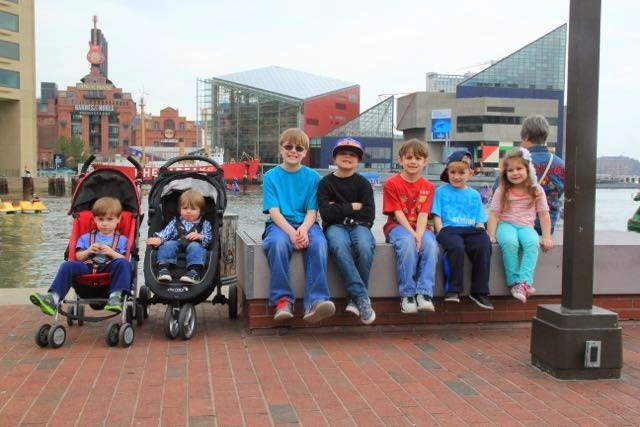 Between both families there were 7 kids. Let's just say it was a wild and crazy time but oh so fun! Thank you Conklins for a wonderful time!! 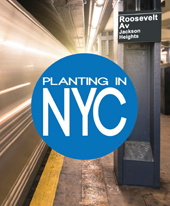 Praise God for mission teams from Judson College, Southeast Christian Church, and FBC Haleyville for prayerwalking Jackson Heights and doing ministry alongside us. Praise God for old friends (Dickeys and McAdams) who recently visited us in NYC. It is refreshing to see familiar faces! Pray for continual relationship building with the South Asian men and women in our ESL classes. Pray for our presence at the Thai New Year Festival on Sunday to be welcomed by all and that we could make contacts with some of the families. Pray for our upcoming monthly gathering on April 25. Interested in Praying, Providing, Participating? View our online brochure that outlines our story, vision, and partnership opportunities.